Genifer Murray - Founder of CannLabs Inc.
Gennifer Murray is the Founder and CEO of CannLabs, the longest running cannabis testing facility in Colorado. She also founded the Medical Cannabis Testing Coalition (MCTC), which helped develop analytical testing standards for the State of Colorado. Murray received her bachelor of science in microbiology from Colorado State University. After college, she started a career in sales in marketing before founding CannLabs. Since then, she has played a vital role in improving safety measures in the cannabis industry. Murray served on the Colorado governor’s task force for the implementation of Amendment 64. Similarly, she was consulted when Washington was instituting their retail cannabis regulations. CannLabs is a leading analytics facility in Denver. They have consistently and exclusively used third party testing standards, similar to the USDA and EPA. 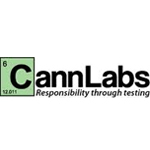 CannLabs also offers consulting services, product development, and works with a number of top companies in the industry.